Build up the Trade Points... and you and your family could find yourselves in LEGOLAND®, flying through the treetops to escape fearsome dragons, riding the thrilling rapids with a Viking fleet, joining LEGO® divers on a magical underwater adventure on the Atlantis Submarine Voyage and enjoying the UK’s only LEGO® Star War Mini Land Model Display. But your LEGOLAND® experience doesn't stop there! 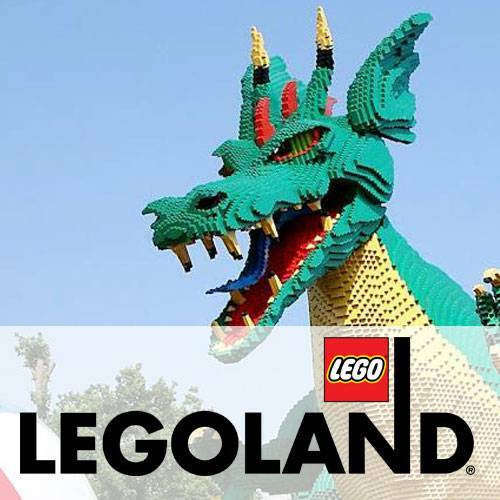 You’ll be staying in the heart of the park at the LEGOLAND® Hotel – it’s the ultimate sleepover, with a spectacular dragon-guarded entrance, interactive LEGO® features throughout, a Pirate Splash Pool and themed bedrooms. Click 'Redeem' and the Dulux Trade Points Helpdesk will contact you within two working days to discuss your LEGOLAND® Windsor Family Trip requirements and the options that are available to you. Our team will work with you at every step of the way. 4. Departure airport used will be dependent on the direct availability from the winners nearest available international airport, which may not necessarily be the closest. 5. Non Republic of Ireland passports holders may need a visa for this destination, which they should arrange with the Embassy at their own expense. Includes all taxes, surcharges and one piece of checked baggage per couple. 6. Economy flights will be provided, all travelling to and from the same destination. These will be arranged by the Dulux Trade Points Helpdesk who will liaise with the customer to agree travel dates, departure and destination airports and flight timings. 7. It is the sole responsibility of the customer to ensure that the he/she and all his/her companions who make use of the accommodation prize are in possession of all necessary travel and health documents prior to departure. 8. Travel is subject to availability at the discretion of the organiser and excludes Christmas, New Year, Valentines, Easter, School Holidays and Bank Holidays (both Republic of Ireland and UK). 9. All transfers will be private and not shared with other passengers. 10. Hotels are classed as at least 4 Star and is based on two sharing a twin or double room (customer’s choice) with en-suite bathroom on a bed and breakfast basis. 11. Non Republic of Ireland / EU passports holders may need a visa for this destination, which they should arrange with the Embassy at their own expense. Includes all taxes, surcharges and one piece of checked baggage per couple. 12. Park opens from 10am to 5pm. Height, age and health restrictions apply on certain rides. Tickets are 2 day park passes for two adults and two children. No child or children under the age of 14 will be admitted to an Attraction unless they are accompanied by an adult aged 18 years or over and such child or children whilst on site must remain under the control or supervision of an adult at all times. 13. Travel insurance is subject to normal terms of acceptance. Pre-existing medical conditions may not be covered. No age restrictions apply. 14. All rewards must be claimed and booked by the member within 12 months from date of redemption. 15. The promotion is not valid in conjunction with any other promotion and is subject to availability. 16. There are no cash or other alternatives. 17. The promotion is not open to employees of TLC Marketing or Dulux.